Austin is sporting a carhart hat ($6 from Amazon! ), a plaid shirt (Kohl's), jeans, work boots, and cute suspenders! 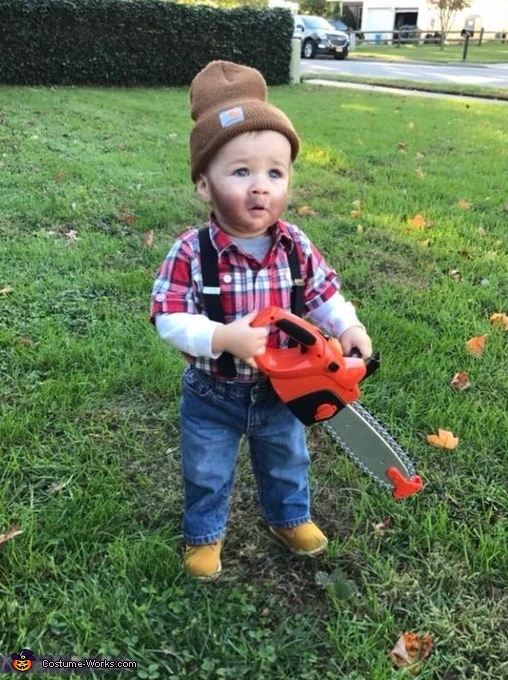 His favorite part of the costume was the toy chainsaw and he was very cooperative with allowing us to put eyeshadow on his face as a beard!